CAPLINQ is pleased to announce PIT2S-RL, its newest poly­imide tape intro­duc­tion designed as a no-residue High Tem­per­a­ture Mount­ing Tape on PET Release Lin­er. that require Class H Tape grade. LINQTAPE™PIT2S-RL-Series Poly­imide™ Tape pro­vides an excel­lent bal­ance of elec­tri­cal, mechan­i­cal, ther­mal, and chem­i­cal prop­er­ties over a wide range of tem­per­a­tures. It has enhanced strength for punc­ture and tear resis­tance and can be used in appli­ca­tions that may see inter­mit­tent tem­per­a­tures up to 260°C (500°F). LINQTAPE™PIT2S-RL-Series Poly­imide Tape comes as a stan­dard in 36 yard (33m) lengths of vary­ing widths, but longer rolls may be avail­able upon request. Tech­ni­cal datasheet is avail­able here. 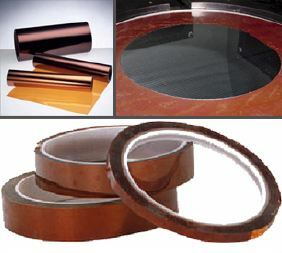 For more infor­ma­tion about poly­imide tapes or any oth­er of our prod­ucts, vis­it us or con­tact us for more details.